New analytic by Forest2Market allows its resource study customers to understand biomass and wood fiber availability in competitive markets; tipping point analysis calculates the maximum additional demand a wood basin can absorb. The tipping point is the point at which too much competition for wood fuel causes prices to eclipse sustainable levels and where harvest levels exceed forest growth. Knowing this point is a key piece of data for our resource study customers. In an effort to support the long-term health of both traditional forest products industries and the emerging wood bioenergy industry, Forest2Market has developed a new tool called tipping point analysis. This tool allows Forest2Market to determine how much additional biomass and wood fiber will be available for new facilities before the supply shed reaches a tipping point. “The tipping point is the point at which too much competition for wood fuel causes prices to eclipse sustainable levels and where harvest levels exceed forest growth. Knowing this point is a key piece of data for our resource study and wood fuel assessment customers,” said Pete Stewart, President and CEO of Forest2Market. Tipping point analysis is particularly important for utility companies. In an effort to meet renewable electricity standards or goals, they are looking at co-firing wood with coal or developing their own wood-powered facilities. Risks associated with these conversions include uncertainty over electricity prices and the long-term availability of the biomass/wood fiber supply. Tipping point analysis allows utilities to plan both the site and the size of proposed facilities to avoid unsustainably high electricity prices and the depletion of forests. Utilities are also sensitive to the fact that switching from fossil fuels to wood means that they will sometimes be competing directly with their customers. In addition to producing some of their own electricity, for instance, wood-consuming pulp and paper mills are also utility customers. In order to avoid adversely affect these and other wood-consuming customers, utilities use Forest2Market’s tipping point analysis. The insight they gain allows them to adjust their plans and ensure the long-term sustainability of the wood basin for all market participants. Tipping point analysis is also an ideal tool for regional, state and local economic development commissions, who must make certain they support projects that lead to additional jobs without endangering jobs in existing industries. To complete wood fuel assessments and tipping point analyses, Forest2Market uses its proprietary delivered price database, which collects volume and pricing data from more than 80 percent of all transactions in the US South and is also solidly established in the Pacific Northwest, and well-tested proprietary econometric models and cost curve projections. 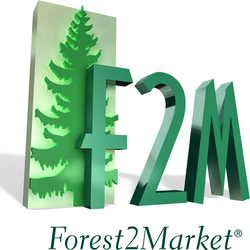 Headquartered in Charlotte, N.C., Forest2Market®, Inc. provides market price information and supply chain expertise as well as a variety of consulting services for those operating in the wood fiber supply chain. Forest2Market offers a comprehensive product line to help its clients better understand their competitive positions and provides the factual foundation for operational and strategic decisions. Visit us at http://www.forest2market.com.